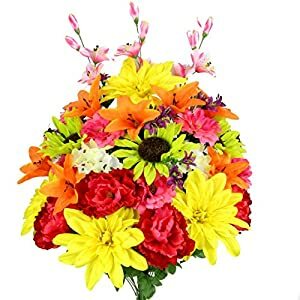 BEAUTIFUL CRAFT FLOWERS: Daisies are one of the most beautiful flowers for any type of decoration. 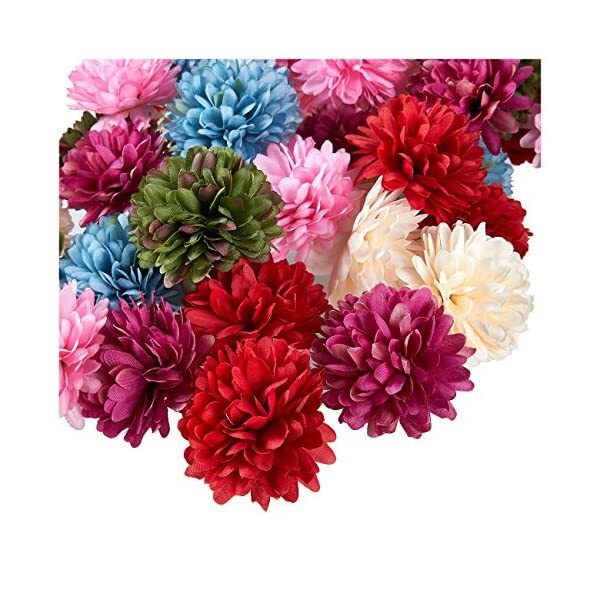 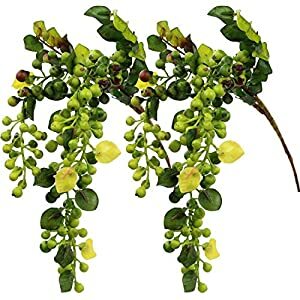 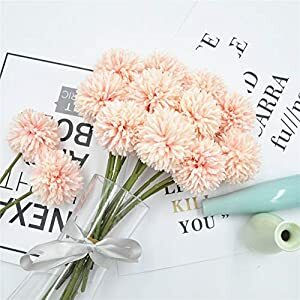 This pack comes with 60 artificial flower heads for all your decoration and craft projects. 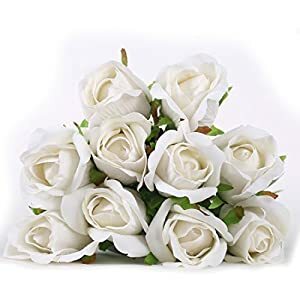 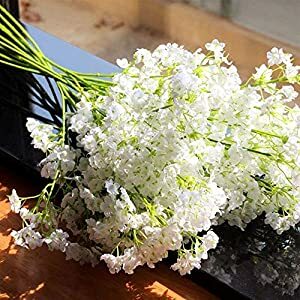 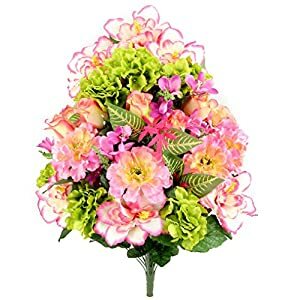 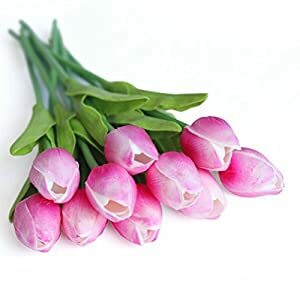 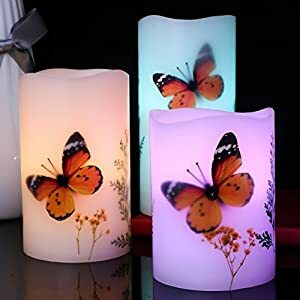 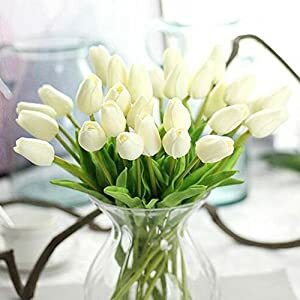 REUSABLE: Reuse these flowers, as they are made of quality polyester that will not wilt and will last for years to come. 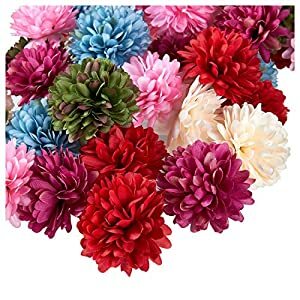 CREATIVE PROJECTS: Use these fake flower heads to make flower garlands, bouquets, table centerpieces, boutonnieres, brooch pins, cake embellishments, hair clips, or any other flower arrangements. 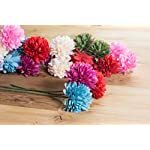 BEAUTIFUL CRAFT FLOWERS: Chrysanthemums are one of the most beautiful flowers for any type of decoration. 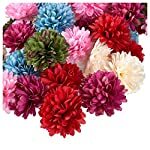 This pack comes with 60 artificial flower heads for all your decoration and craft projects. 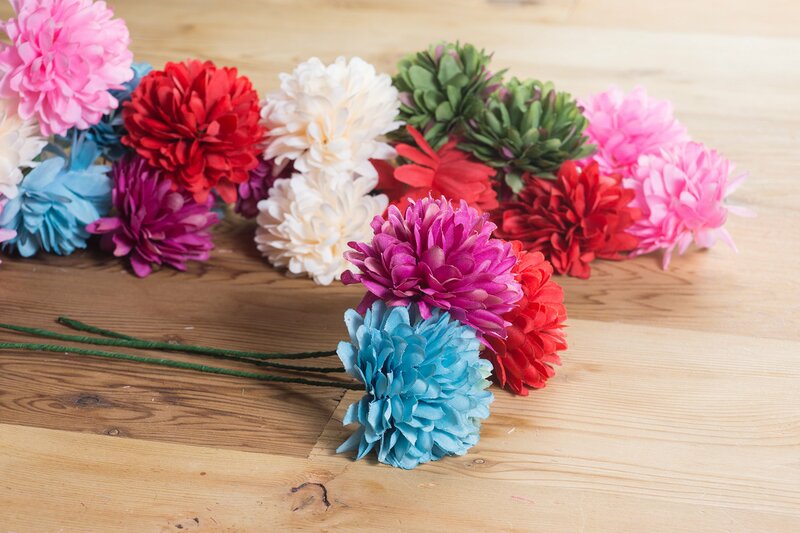 VERSATILE: These flowers are perfect for baby showers, engagement parties and weddings. 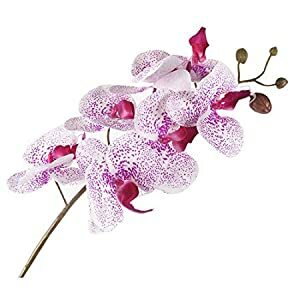 DIMENSIONS: Each flower measures 2.5 x 2.5 x 1.7 inches.